Small and Medium Enterprises Development Company ‘Enterprise Qatar’ (EQ) and INJAZ Qatar host a series of public-facing strategic activities designed to inspire a culture of entrepreneurialism and business innovation among Qatar’s youth. 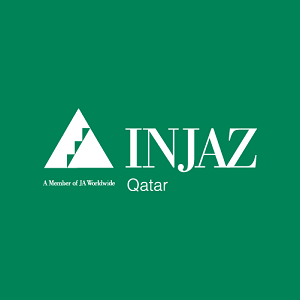 Following the signing of a Memorandum of Understanding with INJAZ Qatar, EQ is fully funding high-school participation in INJAZ Qatar’s Company Program, which provides students with a unique opportunity to establish and run a real company. INJAZ Qatar’s corporate volunteers, alongside business advisors from EQ, are providing mentoring to hundreds of students in developing a business idea, raising capital and producing a product or service. Last month, EQ and INJAZ Qatar celebrated the success of the Young Entrepreneurs Trade Fair, during which teams from 15 independent schools and universities sold their innovative products and services to shoppers at City Center Mall in West Bay. Following Mubadara, Enterprise Qatar will support INJAZ’s Start-Up Program, which is designed as a unique platform to launch innovative entrepreneurial team ventures. The Boeing-sponsored programme offers carefully selected teams made up of four to six members, a combination of seed funding, 20 hours of professional mentoring and incubation over a two year period offered by Qatar Business Incubation Center (QBIC) in order to help viable enterprises grow and contribute towards the economic development of the country.